Julia Phillips Talton, 79, of Goldsboro, NC died on Tuesday, November 20, 2018 at Kitty Askins Hospice Center after a sudden illness. Mrs. Talton was born in Durham County on May 2, 1939. She was the daughter of the late James Hugh and Ruby Dean Phillips. She was also preceded in death by her brother, Jimmy Phillips of Goldsboro. She was a graduate of New Hope High School and Atlantic Christian College where she majored in voice. She also received a four year scholarship in music to Converse College in Spartanburg, South Carolina. Julia is survived by her high school sweetheart, Vernon C. Talton of Goldsboro, whom she married in 1955. A devoted mother and grandmother, she leaves behind her four children: Angela Cooke (Phil), Jeffrey Talton (Mildred), Randy Talton (Kenny Shropshire) and Julie Stone (Bobby); and seven grandchildren: Holly Bender, Scott Spence, Michael Talton, Jennifer Carter, Joann Willman, Kenny Wertz and Blake Stone. She is also survived by six beloved great-grandchildren and her little dog and constant companion, Pierre. As well as being a truly gifted soprano, Julia was a talented musician who enjoyed playing the piano, organ, guitar and autoharp. She served as a choir director for Madison Avenue Baptist Church and later served as the organist and choir director for Ebenezer United Methodist Church. 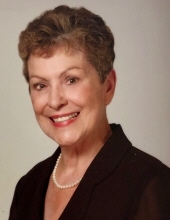 In addition to teaching private voice and piano lessons, Julia taught music and choir at Goldsboro High School, New Hope High School and Helena High School in Roxboro. Known for her love of fashion and sense of style, Julia, along with her husband Vernon Talton, was the proprietor of several local businesses which included: The Venus Health Spa, The Jewelry Boutique, Julia’s Dress Shop, Talton Jewelers, The Golden Slipper and Yours Truly Bridal Shop. After retiring from these businesses and not ready to just stay at home, Julia pursued a successful career in residential real estate in the Goldsboro area. Julia also served for many years on the board for the Lighthouse of Wayne County, a home for battered women. We would like to give a very special thank you to the wonderful staff at Kitty Askins Hospice Center for the love and care they provided for Julia during her final days. Simple words cannot express our gratitude. Also a thank you to the caregivers at Wayne UNC Healthcare who cared for Julia over these past few weeks. The family will receive friends on Friday, November 23, 2018 from 6:00 – 8:00 p.m. at Seymour Funeral Home. A graveside service to celebrate Julia’s life will be held on Saturday, November 24, 2018 at 2:00 p.m. in Wayne Memorial Park with Rev. Rose Hicks officiating. Flowers are welcome or memorials may be made in Julia’s memory to Wayne Uplift Domestic Violence, 719 E. Ash Street, Goldsboro, NC 27530. To send flowers or a remembrance gift to the family of Julia Phillips Talton, please visit our Tribute Store. "Email Address" would like to share the life celebration of Julia Phillips Talton. Click on the "link" to go to share a favorite memory or leave a condolence message for the family.